Aromatherapy is the art and science of using the therapeutic grade essential oil from plants to maintain physical, mental, spiritual and emotional wellbeing. Fragrance oils sold in perfumes or in the scented products are chemically prepared and lack the therapeutic properties of the essential oil, found in sacs on the leaves surface, in the bark, flowers, peels or seeds. When this oil is extracted in a careful way, the therapeutic properties are maintained and the oils can impact the person in a holistic way. Using essential oils can provide support for many conditions like headaches, digestive complaints, anxiety, PMS as well as support in palliative care, with massage and care for the elderly, post-operative care and much more. Aromatherapy combines the use of essential oils for their pharmacological benefit with the value of their scent to relax and integrate mind and body for a holistic experience. Not only do the oils support the patient but also the healthcare professional benefits from the aromatic and therapeutic value of the oils. This course provides definitions of aromatherapy, describes the therapeutic values of essential oils and introduces the role of olfaction in the use of essential oils. 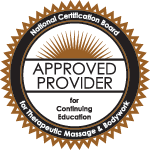 The course bridges the pharmacology of aromatherapy with the holistic principles that make the use of essential oils so beneficial. The attendee will come away with a solid foundation in the safe use of oils. Online Format: High speed internet connection required for optimal webinar viewing and material download. Course Goals: This course is intended to instruct the professional on definitions of aromatherapy, describes the therapeutic values of essential oils and introduces the role of olfaction in the use of essential oils. The course materials for this Course is available in our online format available instantly or by mail. Our mail order format allows you to obtain a hardcopy of the course materials. Financial – Cynthia Howard owns Vibrant Radiant Health LLC and receives a salary. She receives royalty payments from HomeCEUConnection.com for the presentation of this course. Nonfinancial –No relevant nonfinancial relationship exists.